The long-term goal of investing is to allow your assets to grow so that, one day, you have a sizable account to draw from, whether you need those funds for personal use or to assist your children and grandchildren with their own financial needs. For most wealthy investors, there is a percentage of assets designated for just such long-term goals. Those funds are often placed in investment vehicles that prohibit or penalize sudden or untimely withdrawals. All investors still need funds they can access quickly. But they want those funds to be making money until such time as they need to be withdrawn. Thus, they place those funds in short-term vehicles. Short-term investments can be as simple as interest-bearing checking or savings accounts, or can be as complex as Treasury Inflation Protected Securities (TIPS). Whatever they are, they are investment vehicles that allow for withdrawals either immediately or after a short investment period. 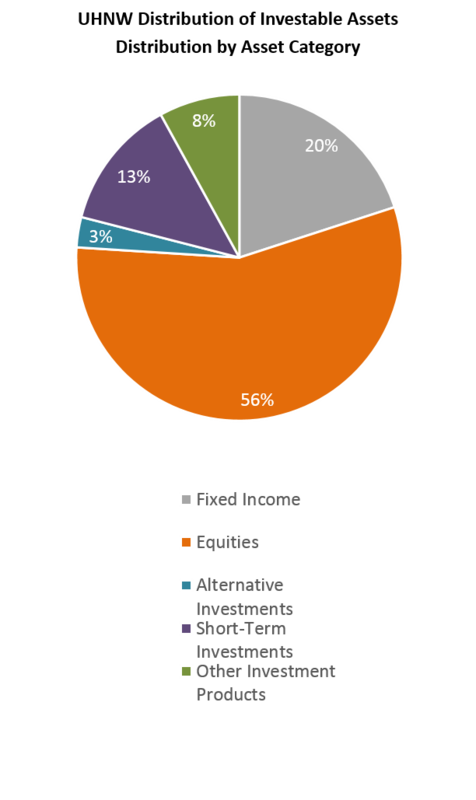 Our annual report on investors and their assets – Asset Allocation, Portfolios and Primary Providers – lists the short-term investment vehicles wealthy investors employ and what percentage of investors use which of the short-term opportunities. Short-term investments can serve as a failsafe for financial emergencies as well. Long-term investments, like stocks, work best when the investment is allowed to grow over time, and long-term investments often carry stiff penalties for early withdrawal. A short-term investment vehicle usually produces less than a lo0ng-term investment in terms of interest, but also does not carry the penalty of withdrawal. According to the report, Ultra High Net Worth investors put 13 percent of their assets in short-term investments, and almost all (93 percent) have checking or savings accounts that produce small interest income. Seventy-six percent have money market funds and the mean value of those accounts is $355,000, the highest value of any of the short-term investments. Certificates of Deposit, which are more popular when interest rates are higher, currently garner ownership from 33 percent of UHNW investors. Eighteen percent of UHNW investors have Treasury bills, and 13 percent have TIPS. Certificates of Deposit and T-Bills have fixed maturity times, and are penalized if the funds are withdrawn before the maturity date. Financial advisors can assist investors in planning those investments so that funds are available on a scheduled basis, so that investors can determine if they need those funds before reinvesting. Younger investors are more likely to have short-term investments, as their financial needs are perhaps more immediate. Among investors under the age of 48, 21 percent of investable assets are in short-term investments, while for investors over the age of 65, only 12 percent are in short-term vehicles. The UHNW investors are segmented by occupation in the report, and Managers are most likely to be invested in short-term products (18 percent). Only 12 percent of Business Owners have personal assets in short-term investments. Among Millionaires, the short-term investment percentage is higher, with 17 percent of investable assets set aside for more immediate access. But younger Millionaires are far more likely to place funds in short term investments. Among Millionaires under the age of 36, 23 percent of investable assets are in short-term investments, and among Millionaires between the ages of 36-44, a whopping 32 percent are in short-term vehicles.